The world is increasingly becoming an interconnected social hub where people can quickly find means to solve complex problems through data sharing and collaboration. Technology dominates almost every aspect of our lives. Today, we are witnessing an increasing shift towards digitalisation as it makes our lives much more comfortable and convenient. Digitalisation is bringing about a new revolution in almost every significant industrial sector including business, entertainment, and science, with healthcare not far behind. In fact, the healthcare industry stands on the cusp of a digital revolution that could transform the face of healthcare entirely. Digital technologies and innovations are rapidly disrupting conventional notions of healthcare by utilising the power of data to help doctors make better decisions, automate healthcare processes (surgery, routine checkups, etc.) for rapid care delivery, and promoting the overall growth of the industry. The world is increasingly becoming an interconnected social hub where people can quickly find means to solve complex problems through data sharing and collaboration. India, too, needs to be a part of this global hub. With the increasing growth of smartphones and rapid internet penetration across the country, India holds a vast potential to change its healthcare industry for the better. In fact, estimates suggest that India’s digital connectivity will tremendously increase from 15%(2014) to 80% by 2034, with a 58% increase in the number of rural internet users by 2034! His statement reminds us of a stark reality of life – ageing. Globally, the aged population is on the rise because of lower birth rates and increasing life expectancy. The elderly require more attention and constant care than the younger generation. Augmented accessibility digital technologies may help the elderly population to maintain good health. For instance, fitness wearables and monitors can enable the elderly to take better care of themselves. Research has established that the aged populace is likely to lead longer and healthier lives if they have a trusted social circle and feel a sense of purpose. Even though rural areas harbour a majority of the Indian populace, most of rural India lacks the essential amenities and infrastructural facilities that are a prerogative of a good healthcare system. The rural-urban divide of healthcare needs to be bridged urgently for the welfare of the large percentage of the population that reside in rural areas and lose their lives due to lack of healthcare facilities. In such a scenario, telemedicine connectivity can help the rural populace to get in touch with the top-tier doctors and surgeons in the country and also make treatments more cost-effective. Surprisingly enough, till today India severely lags behind when it comes to meeting the bare minimum requirements of the workforce in the healthcare sector as laid down by WHO. The inclusion of advanced digital technologies such as robotics in the healthcare system would not only make up for the workforce gap by automating various tasks such as paperwork, minor surgery, etc., but it would also decrease operational costs significantly. Furthermore, automation in the healthcare sector would mean speedy care deliverance and increased regulatory compliance as every step is tracked and documented. At present, a large part of the Indian healthcare system lacks a centralized and integrated system for storing medical records of patients. Hospitals and healthcare providers still rely on a paper-based collection of patient data which is not only cumbersome but also time-consuming. By investing in and adopting a centralized system of retrieving population health metrics, healthcare providers can quickly identify the patient groups that require immediate attention. Furthermore, digital analytics tools such as EMRs can help store and access valuable patient data and help provide faster, accurate, and holistic treatment by skipping unnecessary paperwork formalities and redundant tests. With an increasing awareness and accessibility to Internet services, today, individuals are open to trying out new technologies that will enhance their life expectancy. They are more conscious, tech-savvy, and more willing than ever to embrace disruptive technologies. Thus, the tables have turned, and the focus of healthcare has shifted from the healthcare providers to the patients. Patients are no longer ready to be constrained by the conventional models of healthcare such as routine tests and medications. Instead, they want to take charge of their own health. Wearables are a great example. These devices can help monitor and track the basic health parameters such as heart rate and blood pressure. For instance, a wristwatch that can double up as a personal emergency response system as well as a source that can relay the medical data and GPS location of the patient over a remote server. This behavioural change on the part of the patients is a huge driver of digitalization in the healthcare sector. The transformation of the Indian healthcare system has already begun. While the government is increasingly encouraging digitization with initiatives such as Digital India and Aadhaar, the private sector has launched numerous mobile applications, telemedicine tools, and innovations centres throughout the country. Mobile Health or m-health is one of the most significant parts of India’s digital health revolution. Mobile healthcare apps continuously help educate individuals about preventive healthcare measures and chronic disease management. Moreover, m-health also aids in disease surveillance, tracking epidemic outbreaks, and treatment support. In 2015, the estimated market size of m-health in India stood at 2,083 crore INR, and by 2020, this number will apparently rise to 5,184 crore INR! According to a study, almost 68% doctors recommend m-health services and 59% of patients around the country are using it. Remote monitoring is another useful segment of digital healthcare. It allows healthcare providers to monitor the health of patients outside the healthcare centres. It empowers the patients to carry out specific routine tests using certain devices. Wearables and mobile apps help patients to get constant updates about their health. These devices help increase the rural population’s access to healthcare services by offering point-of-care diagnostics, teleconsultation and e-prescription facilities. Telemedicine uses technology for remote diagnosis, health monitoring, and consultation. It enables healthcare providers to evaluate, diagnose, and treat their patients without requiring them to come in for an in-house visit. In addition to providing healthcare facilities in the remotest of areas, telemedicine has significantly helped bring down provider as well as patient costs. Thus, digitalization of healthcare allows for care beyond the bounds of the hospital and into the limits of your own home. With the increasing number of patients demanding health care services, often the infrastructure falls short. And hence, healthcare providers are now increasingly shifting towards remote monitoring services like telemonitoring and IoT connected wearables. These biosensing wearables can track and monitor real-time changes in the health of patients and store the data to the health records of the patients. This data can be used for early diagnosis and to provide real-time health support to patients. India is increasingly encouraging innovation and collaboration in the field of healthcare. While innovation is helping to change the deliverance of healthcare services in the country, global partnerships, as well as government and private collaboration projects, are helping to expand the healthcare infrastructure. Incorporation of data analytics into this industry can provide us with valuable insights and help manage and treat chronic outbreaks better. 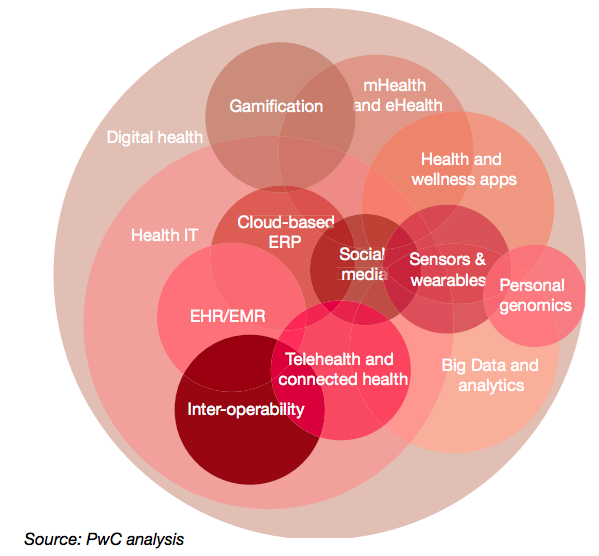 Also, the consumer demand for digital-health services and applications is stronger than ever. Research suggests that almost 70% of patients between the age group of 18-65 would prefer digital health monitoring over conventional ways of measuring health parameters. The government initiative of “Digital India,” has opened before us a tremendous scope for developing a smart healthcare system for the benefit of the Indian populace. One segment of the healthcare industry that has already started to tap the power of digital technologies is the hair transplant sector. Today, a large number of hair clinics across India rely on advanced technologies and robotics to enhance the efficacy and precision of hair transplant procedures. Unlike earlier times, hair transplant and hair fall treatment procedures are no longer painful. The same applies to laser hair removal technique that uses smart and advanced tools to target the hair from the roots and inhibits the hair growth. If digital technologies could help transform the entire hair transplant industry, then one can only begin to imagine the potential it holds for the healthcare sector as a whole. About the Author: This article is contributed by Dr Sonal Shah – Co-Founder at RichFeel. 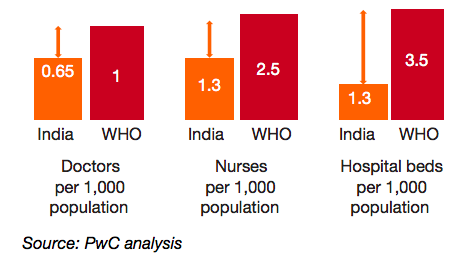 "The Urgent Need for Digital Transformation in Indian Healthcare! ", 5 out of 5 based on 1 ratings. This is the most promotive article because we need some the types of the digital transformation for the healthcare. Especially in rural areas where lots of people are not aware of their diseases. So, I think this is the best way for aware the information.